Fugue for J. S. Bach was a natural language; he wrote fugues in organ toccatas and voluntaries, in masses and motets, in orchestral and chamber music, and even in his sonatas for violin solo. The more intimate fugues he wrote for keyboard are among the greatest, most infl uential, and best-loved works in all of Western music. They have long been the foundation of the keyboard repertory, played by beginning students and world-famous virtuosi alike. 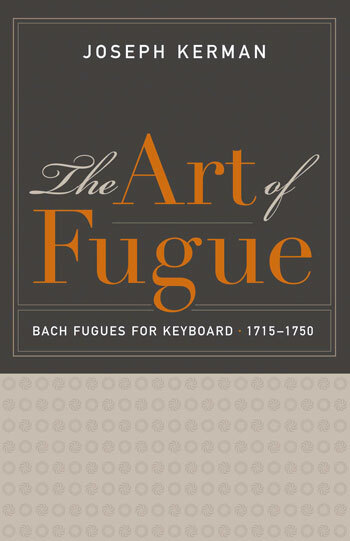 In a series of elegantly written essays, eminent musicologist Joseph Kerman discusses his favorite Bach keyboard fugues—some of them among the best-known fugues and others much less familiar. Kerman skillfully, at times playfully, reveals the inner workings of these pieces, linking the form of the fugues with their many different characters and expressive qualities, and illuminating what makes them particularly beautiful, powerful, and moving. JOSEPH KERMAN (1924–2014) was Professor at the University of California, Berkeley, author of Concerto Conversations, Write All These Down, and Opera as Drama, among other books. He was a founding editor of the journal 19th-Century Music and a regular contributor to the New York Review.